XL 3658 x 2439px 15 Mb. 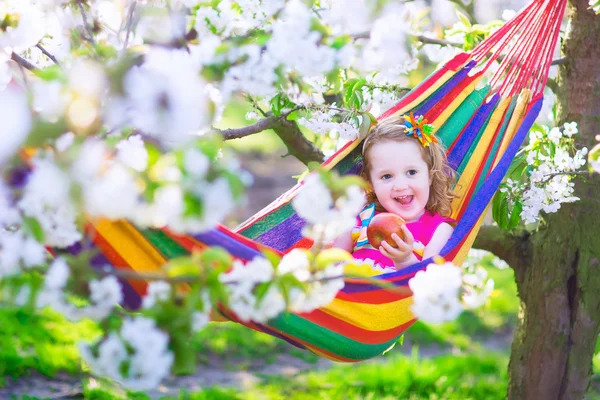 Child relaxing in hammock. Cute little toddler girl playing in a blooming sunny cherry garden with white flowers. Kids having fun eating apple for healthy snack during spring vacation on a farm with fruit tree orchard.